Many hybridizers have continued to successfully develop larger standard cultivars of form, color and increased texture. At the same time, smaller flowers with the same attributes started getting overlooked by growers, breeders, and show judges, solely because of their lack of size. ADS Intermediates was established to feature these in ADS Daffodil Shows and reward naturally smaller sized cultivars in divisions 1, 2, 3, 4 & 11 (one flower per stem only)– entries that might be overlooked by judges if still placed in standard classes. 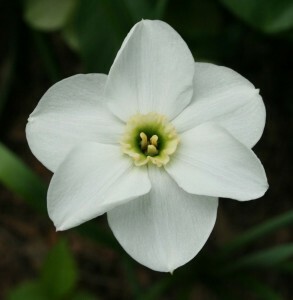 Intermediate flower measurements (diameter) were amended in 2002 to include daffodils whose bloom size is typically above 50 mm up to 80 mm (2”-3 1/8”). The list below is a “suggested list” and was compiled using measurements provided to the Royal Horticultural Society by the registrants, as published in the International Daffodil Register and Classified List (including supplements). Intermediate in flower size does not always translate to intermediate in plant habit. Those designated as a dwarf plant (13” or less) in the RHS International Daffodil Register and Classified List, or listed as such by the originators/registrants of the cultivar in their respective catalogs are noted on our list by the word “dwarf”. This does not necessarily mean that all others on the list are not of dwarf stature–some are, some are not. Check the “Intermediate” box under “American Daffodil Society”. After the list is displayed, you can click on a specific Intermediate daffodil name and read detailed information and view one or more photographs. Or you can output the entire list to a PDF document by clicking on the RED button next to the ‘Select rows/pages’ function area.